Today I am over the moon to be on the Blog Tour for The Choice by the one and only Nicholas Sparks. 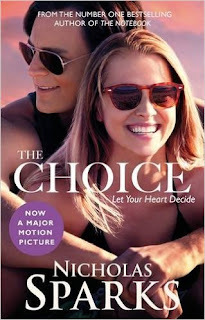 Now a major motion picture starring Benjamin Walker and Teresa Palmer, The Choice is an unforgettable - and heart-wrenching - love story that will capture your hearts. And today, thanks to Little, Brown UK, I am offering you the chance to win a signed copy! 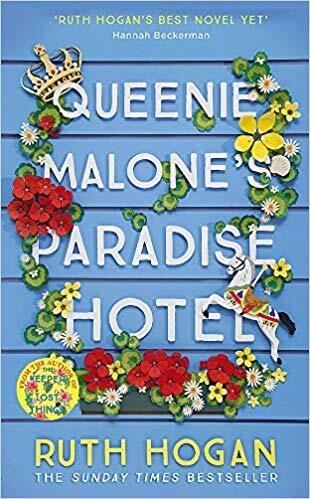 Blurb: Travis Parker (Benjamin Walker) has everything a man could want: a good job; loyal friends; his dream home in small-town North Carolina. In full pursuit of the good life, he believes that a serious relationship with a woman would only cramp his style. That is until Gabby Holland (Teresa Palmer) moves in next door. Despite Travis's attempts to be friendly, she seems to have a chip on her shoulder about him. But something compels Travis to get to know his new neighbour. His persistent efforts lead them both to make tough decisions, the consequences of which neither could have foreseen. The Choice confronts us with that most heart-wrenching question of all: how far would you go to keep the hope of love alive? The giveaway is open to UK & Ireland and the winner will be contacted via email. They will have then 48h to claim their prize. It would have to be the notebook, the book & the movie had me in tears!